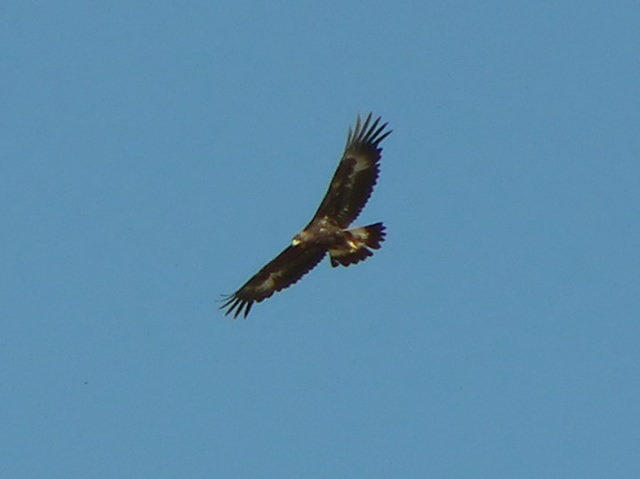 Immature Golden Eagle soaring over the ridge northwest of Fort Simcoe, Yakima County, WA. July 23, 2006. Panasonic DMC-FZ20.